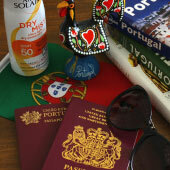 Portugal is a diverse and fascinating country, and is the ideal destination for a one-week holiday. It is a proud country with a rich history, and a welcoming people, which offers an extraordinary variety of sights for you to discover. There are the vibrant and progressive cities of Lisbon and Porto, the historic towns of central Portugal, or picturesque fishing villages along the Atlantic coastline. The landscapes of Portugal are equally varied, from the glorious beaches of the Algarve, to the lush valleys of the Douro or the arid country side of Alentejo. With so many wonderful locations and possibilities, it can be challenging to identify the most suitable itinerary for your 1-week Portuguese holiday. 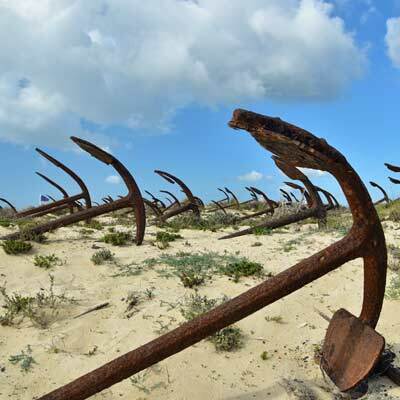 As a starting point, this article will provide a selection of varied 1-week itineraries, to help you make the most of your holiday to Portugal. Note:This guide has been written as an initial resource for your holiday planning, and provides links to further in-depth information. This article would have been simply too long to include all of the relevant information. The following are our suggested one-week tours of Portugal, and are the routes we recommend to friends and family who wish to discover Portugal. This summary includes the best months to undertake the tours and which airport to fly into. *These tours can be taken using public transport, and do not need a rental car. Note: During the peak summer months (Jul-Aug) the Algarve is crowed with package tourists, so it is best avoided for a touring holiday. 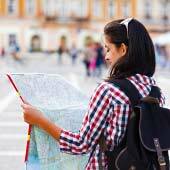 Note: links to all of our destination guides are given at the end of this article. 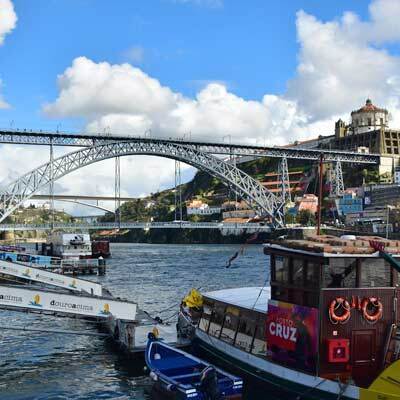 Related articles: 1 week in Porto. This route combines Lisbon and Porto in one week , and is ideal if you are new to Portugal The entire tour is possible using public transport. 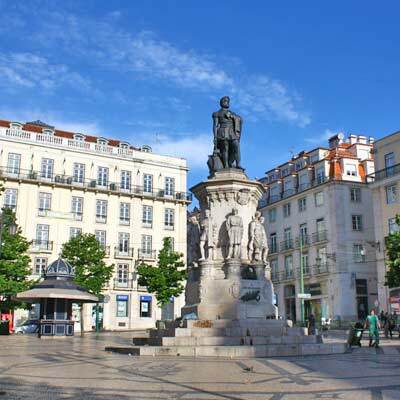 Info: 3 nights are spent in Lisbon, 1 night in Coimbra and 3 nights in Porto. 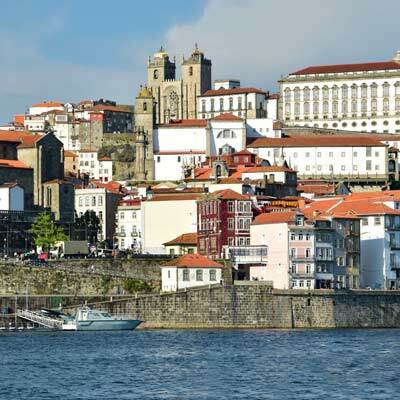 Take the train from Lisbon to Coimbra, and Coimbra to Porto. 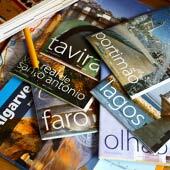 This itinerary visits the fascinating central region of Portugal, between Lisbon and Porto. This route is a good follow on from the Lisbon and Porto 1-week tours. Info: Due to the number of destinations visited, a rental car is needed. 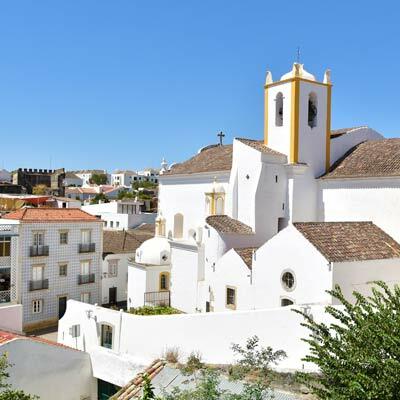 The tour of the central and western Algarve, combines lively holiday destinations with traditional and characterful towns. 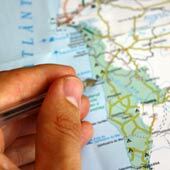 This tour is a good choice if you are new to Portugal, and does not need a rental car. Info: This tour stays in four different towns; 1 night in Faro, 2 nights in Albufeira, 2 in Carvoeiro and 2 nights in Tavira. Note: Carvoeiro is a peaceful and relaxing town, if you wish for something a bit more lively replace it with Praia da Rocha. 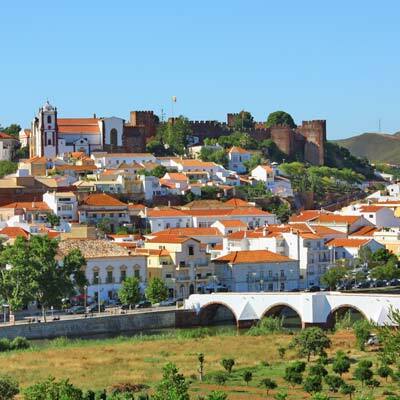 Info: This tour is based in three towns; Faro 3 nights, Tavira 2 nights and Vila Real de Santo for 2 nights. This is a very intense tour route and not really recommended, except for those visitors who insist on seeing everything. Many guides and websites provide tours that cover the whole of Portugal in just seven days, but in reality, this entails a vast amount of travel and is simply exhausting. It is a much better idea to stay within one region and fully discover the sights in that area. Also, being based in the same hotel eliminates the hassle of packing and moving luggage. Portugal has an extensive network of public transport and it is inexpensive to use, so there is rarely the need for a rental car.It is also wise to fly in/out of the same airport as this reduced the cost of flights. 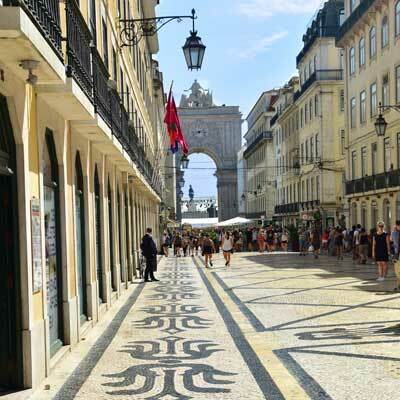 Lisbon is the vibrant and charismatic capital city of Portugal. A one-week holiday to this region can combine exploring the city’s iconic sites, experiencing the lively nightlife, relaxing on a beach, and visiting the unique surrounding towns. 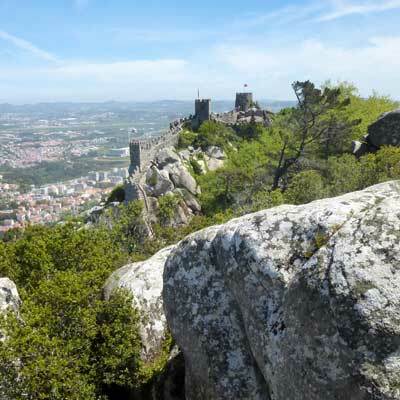 For this tour it is suggested to spend three days in Lisbon, have three day trips to Sintra, Cascais and Obidos and spend one day relaxing the beach. 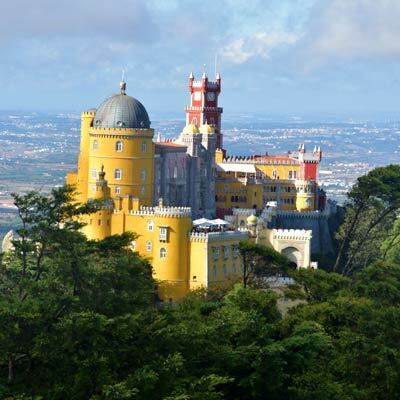 This suggested tour is suitable for couples of all ages but is ideally suited for younger travellers due to the fantastic nightlife of Lisbon, while more mature visitors will appreciate the historic towns of Sintra and Obidos. This tour is ideal year-round. Related article: 1 week in Lisbon. Porto is the undiscovered northern capital of Portugal, with few tourists even considering Porto as a holiday destination. 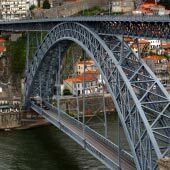 Porto maybe virtually unknown but it can rival Lisbon for historic sights, varied activities and nightlife. 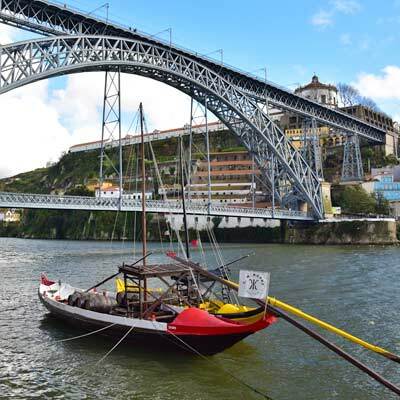 This suggested one-week itinerary includes; two days to discover Porto, three-day trips to Braga, Guimaraes, and Aveiro, a day cruising along the Douro river and one day relaxing on the beaches near Porto. Porto is one of the least expensive regions of Portugal and is a great destination during the summer when Lisbon and the Algarve are fully booked. The winter months in Porto can be wet (but mild), so this tour is recommended between March and October. Related article: 1 week in Porto. The Algarve can often conjure up an image of mass tourism filled with bland inclusive resorts and crowded beaches but surprisingly the beautiful resort of Tavira and eastern Algarve region remains fairly untouched by tourism. Tavira town is a relaxed Portuguese destination that is close to some of the most stunning and deserted beaches of the Algarve. The regional Algarve railway passes through Tavira and it is possible to explore the entire eastern Algarve from this resort, while the beautiful beaches are just a short ferry ride away. 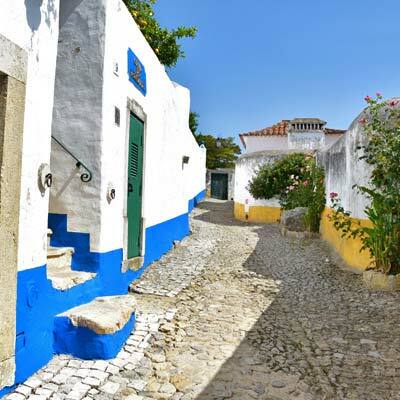 This suggested one-week itinerary includes; one day exploring Tavira, two glorious beach days and day trips to Faro, Vila Real and Santa Luiza. 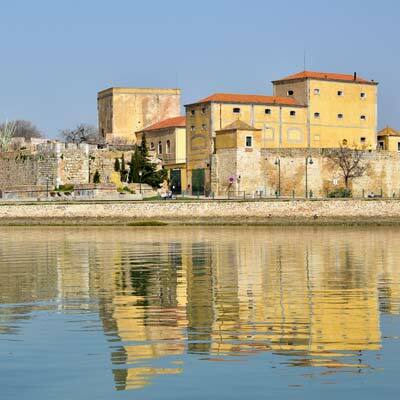 Tavira has a slow pace of life and is recommended for visitors seeking a relaxing break, those looking for nightlife are best to visit the central Algarve. 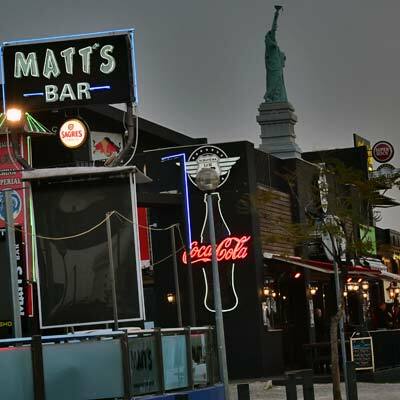 Lagos is a historic city that has responsibly developed into a popular tourist destination that is close to all of the major tourist attractions of the central Algarve (theme parks, water parks, zoos etc). A one-week holiday to Lagos can combine the beautiful scenery of the Algarve, Portugal’s history and heritage plus a day in a water park. 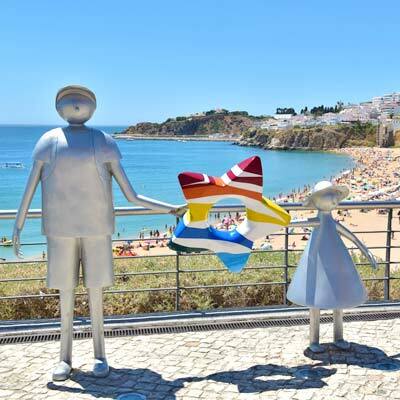 This suggested 1-week itinerary includes; two days exploring Lagos and the beautiful coastline, two relaxed beach days, a day trip to a theme park and two day trips to the historic towns of Silves and Sagres or Portimão. A holiday to Lagos is recommended for families as it provides a good variety of activities to suit everyone. As Lagos is located near the central Algarve region it is the most expensive option and should be booked well in advance. Related articles: y please click here. Whilst the Algarve is less than 200km, the varied coastline consisting of large resort towns, historic villages, picturesque cliffs and stunning beaches makes it an ideal trip. 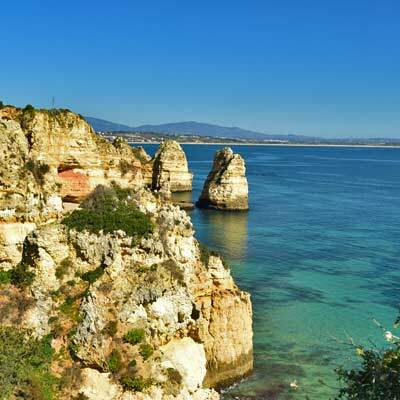 This suggested one-week itinerary will take tourists through the major sights of this region and includes the historic towns of Faro and Lagos, lively Albufeira and the exclusive Vilamoura. 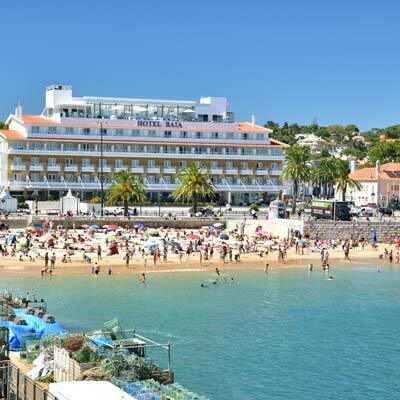 As this tour includes the major resorts of Lagos and Albufeira, it should be booked well in advance. 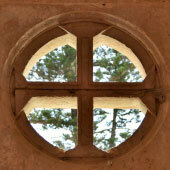 For an in-depth guide to this one week itinerary, please click here. .... but in Albufeira there are lots of places for a long night!